The Kentucky Science Center is a community science center in ‘Museum Row’ in the West Main District of downtown Louisville. Previously known as the Louisville Museum of Natural History & Science and then the Louisville Science Center, the Kentucky Science Center now attracts more than 500,000 visitors a year. Housed in a limestone building that was originally built in 1878 as a dry goods warehouse, the Center moved into the building in 1977 after being purchased by the City and subsequently won numerous design and preservation awards for its distinctive cast-iron façade. Established in 1871 as a ‘cabinet of curiosities’ with a 16,000 piece mineral collection and just one Egyptian mummy, the Kentucky Science Center has grown into one of the region’s leading institutions and resources for informal science education. The Center now spans 150,000 square feet and features three floors of interactive exhibits, hands-on science workshop labs, a four-story digital theater, a special hands-on area for children younger than seven called KidZone featuring six educational activity areas. Kentucky Science Center features immersive exhibits and engaging programs for all ages of visitors from children to adults that aim to engage, entertain and educate a lifetime of learning. 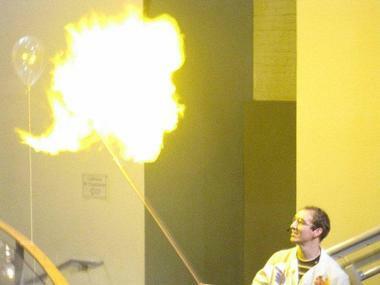 The Kentucky Science Center also offers a range of unique educational programs and science-based activities for visitors of all ages including, adult dialogue series on topical science issues, family science drop-in events, mobile outreach and enrichment programs, summer camps and workshops, and a monthly science club. Permanent exhibits at the Kentucky Science Center include ‘The World We Create,’ which explores the scientific fields of chemistry, engineering, physics, manufacturing, and telecommunications, and their impact on everyday life. ‘Science in Play’ is a progressive, next-generation learning experience that introduces science in play. 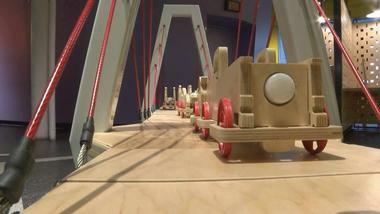 Designed for young children and their families, the exhibit features a variety of experiments and experiences that encourage power through play. ‘The World Within Us’ features fact-based, user-friendly information to guide visitors to learn more about healthy living decisions, the systems of the body and how they work, and the outstanding accomplishments of local medical researchers. ‘The World Around Us’ is an 8,000 square-foot exhibit that explores the earth and natural sciences and the impact human beings have on the world around us. The Discovery Gallery takes visitors on a journey back in time to the original Science Center and features favorites such as the Egyptian mummy and polar bears. This exhibit also features four science workshop labs that offer interactive participation and hands-on workshops, teacher training, and educational camps. ‘The World Around Us’ features three major ecological galleries - Atmosphere: The Air That Surrounds Us, Terrasphere: Environments That Support Us, and Aquasphere: The Water That Sustains Us. 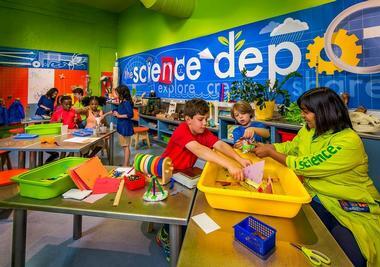 The Kentucky Science Center is a recognized leader in inquiry-based learning and offers a variety of educational programs, workshops, and classes that encourage curious minds to explore science in everyday life. Programs include a dialogue series on topical science issues for adults, mobile outreach, and enrichment programs, and family science drop-in events. Other programs range from School’s Out Science Camps, one- day science “summit” for teenagers, and family camps at local parks to a middle school monthly science club, programming for early learners and their caregivers, a maker-space for tinkering and inventing, and overnights at the Center. 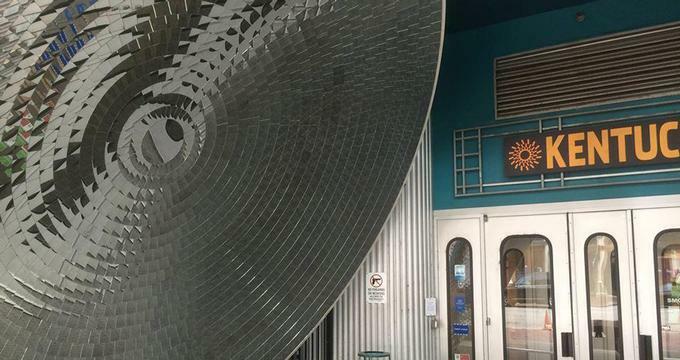 The Kentucky Science Center is located at 727 West Main Street in Louisville and is open every day of the week from 9:30 am to 5:00 pm. Different tours of the Center cater for all types of groups from school field trips, daycare trips, student clubs, summer camp trips and boy/girl scout outings for youth to business outings, senior and church groups, volunteer organizations, and convention attendees for adults. 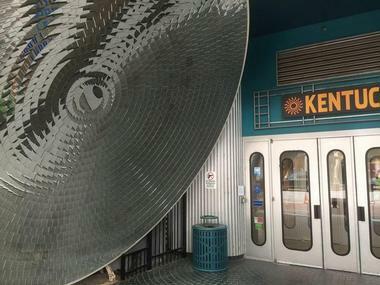 The Kentucky Science Center is home to a state-of-the-art, four-story, 225-seat 3D digital theater with a precision white screen that shows a variety of science-based movies throughout the year. Boasting beautiful views of the historic Main Street and the panoramic view of the Ohio, the Kentucky Science Center can be rented for special functions and functions.